In the first Plastics BAN List, plastic pollution along the California coast was analyzed. In the newest analysis, The Plastics BAN List 2.0, data from the entire United States is used. It’s an impressive 34-page study looking at the 20 most polluting products, calling out the worst-offending brands responsible for all that litter, and offering reusable alternatives. 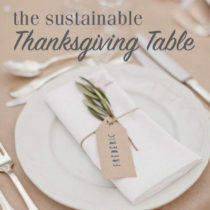 Once again, disposable food wrappers and containers topped the list. Wrigley’s, Trident, Starburst and Snickers were the top four brands found. 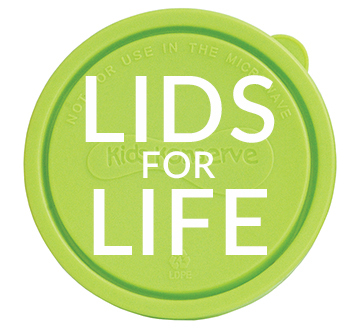 The recommended solution is easy and becoming more mainstream in many grocery stores: Bulk purchasing with reusable containers. Thankfully, bringing a reusable bottle is becoming second nature as awareness grows, but plastic bottle waste is still widespread. Americans discard 2.5 million plastic bottles every hour. Coke, Gatorade, Naked, Snapple and Crystal Geyser were the most common brands found. Similar to single-use plastic bags and other disposable food packaging, the ubiquitous and often unnecessary plastic straw is used for only a few minutes, but remains in the environment forever. Worst offenders: Starbucks, McDonalds, Dunkin Donuts and Burger King. Reusable straws are available in different sizes, and handy cleaning brushes too. Quick stops to pick up a sandwich or salad are having a staggering environmental impact. 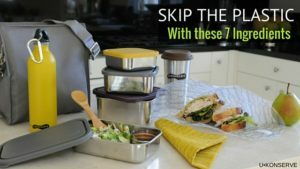 To-go containers are almost always coated with or made of plastic like polystyrene, or made of Styrofoam, so they can’t be recycled and they break down into toxic micro-particles. 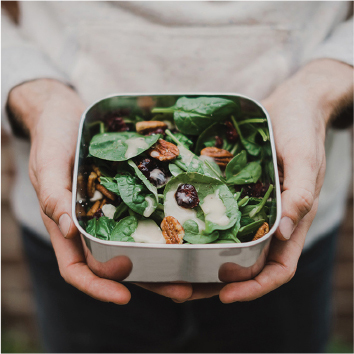 Get into the habit of bringing reusable options with you, like stainless steel To-Go Containers. 38 billion plastic cups are used in the U.S. every year, and if you include Styrofoam cups, add another 26 billion. Most eventually head to landfill because they are made of plastic that is difficult to recycle (like Solo cups and coffee cups). Top four brands responsible for the litter: Starbucks, McDonalds, Taco Bell and Dunkin Donuts. Carry an insulated tumbler with you every day! 40 billion disposable plastic utensils are used in the U.S. every year, and this number is predicted to rise as our takeout habit grows. Most throwaway forks, spoons and knives are made of hard-to-recycle polystyrene, adding to the eight million tons of plastic that enters our oceans every year—that’s similar to emptying a garbage truck of plastic into the ocean every minute. The BAN List recommends bamboo/wood utensils, which you can find here! 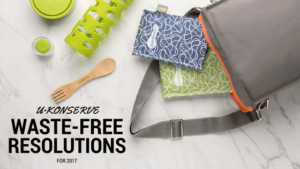 Thankfully, single-use utensils, straws, bags and bottles are being included in plastic bans happening all over the world, and reusable options are inexpensive and easy to take along. There’s a lot to learn about bioplastics as well, check out the BAN List for an in-depth study to help unravel misinformation about this potential solution. 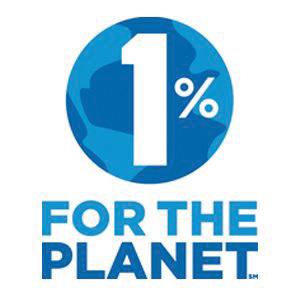 Thanks to 5 Gyres (our partner and research-based non-profit focused on plastic pollution education), Plastic Pollution Coalition, Surfrider Foundation and UPSTREAM. Read the full The Plastics BAN List 2.0 report here. 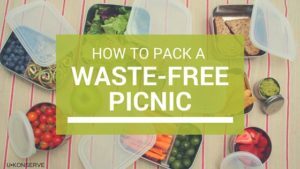 Waste-Free Resolutions for the New Year!